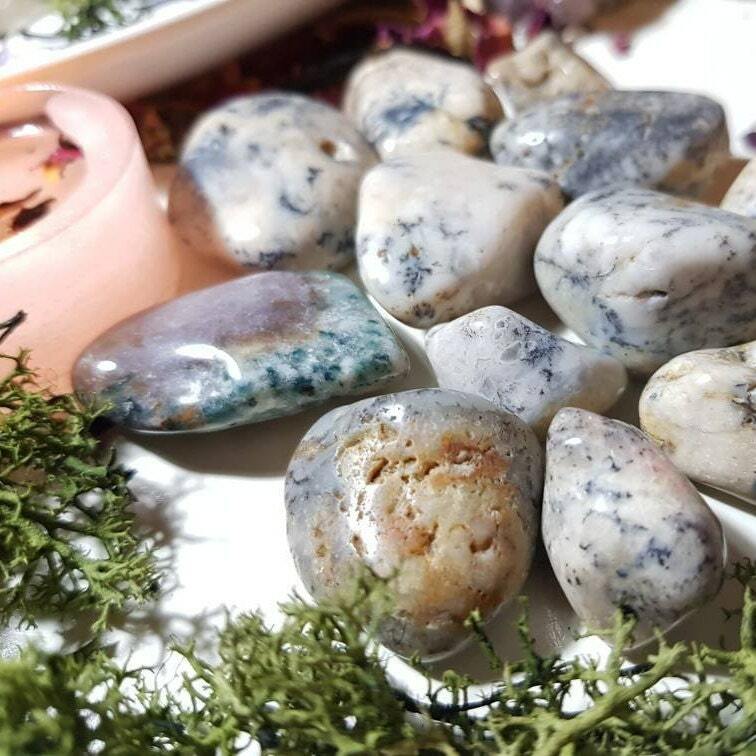 Dendritic Agate is known as a stone of plenitude because of its abilities to bring fullness and abundance in your life. 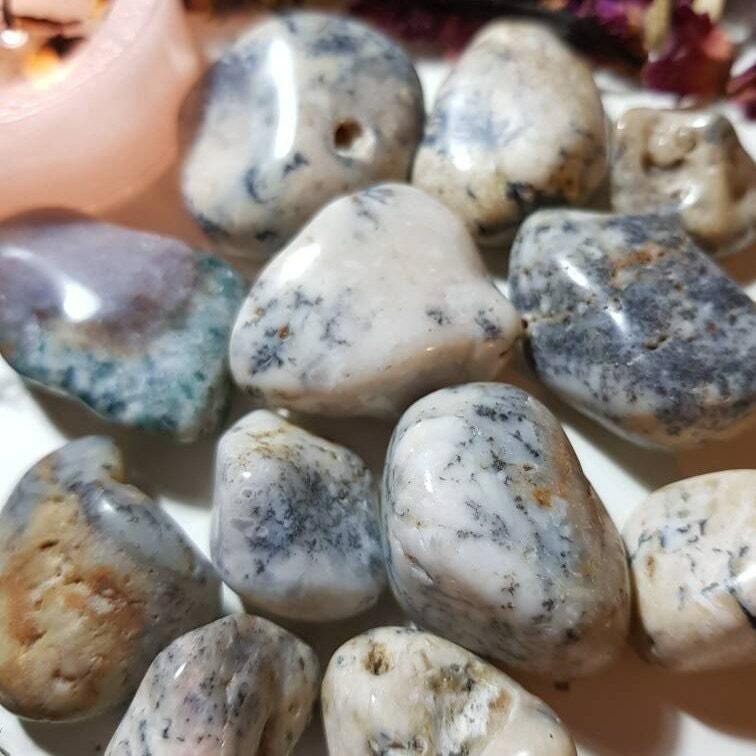 The energies of this stone is said to help overcome bitterness and negativity by healing your anger and promoting love. I love the thought the seller puts into each parcel! Really nicely presented. 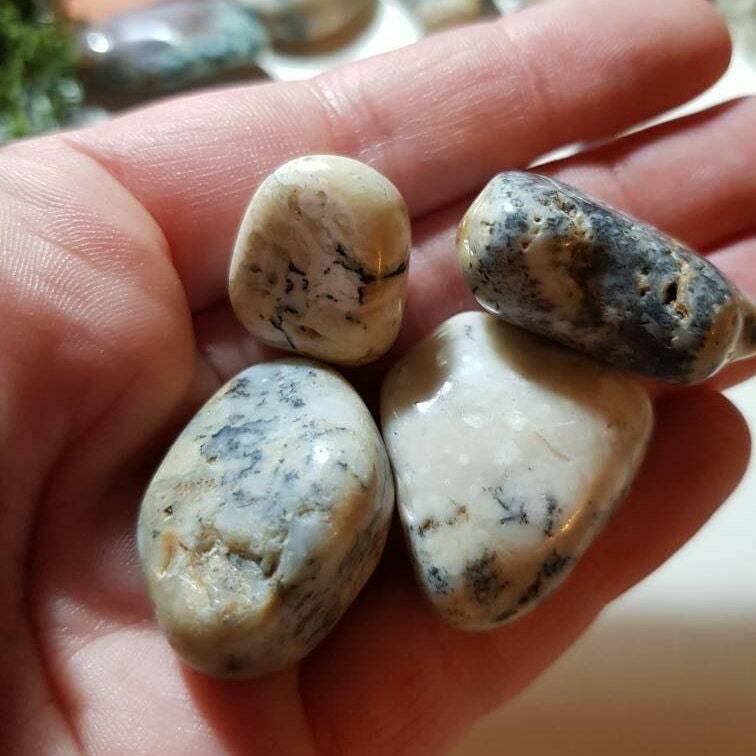 Of course, great stones too! Thanks!